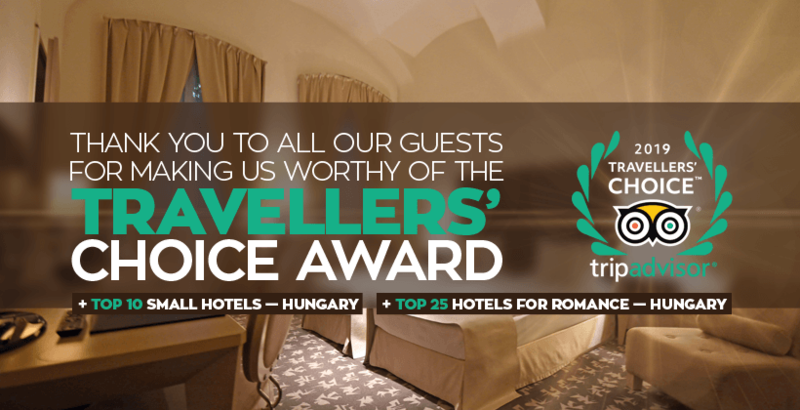 Buda Castle Fashion Hotel has been awarded „Top 10 Small Hotels — Hungary” & „Top 25 Hotels for Romance — Hungary” of the 2019 TripAdvisor Travellers’ Choice® for Hotels. Travellers’ Choice award winners were picked by millions of reviews and ratings collected in a single year from TripAdvisor travellers worldwide. In the 17th year of the awards, TripAdvisor has recognized 7,812 properties in 94 countries and eight regions worldwide.